With spring around the corner, now is the best time to decide how you are going to enhance your landscaping in Denver, CO. While you can add flowers, bushes or trees, another premier element to consider is hardscaping. This is the perfect touch that will make you fall in love with your lawn all over again! There are a variety of applications for it that will work well with the outside of your home. 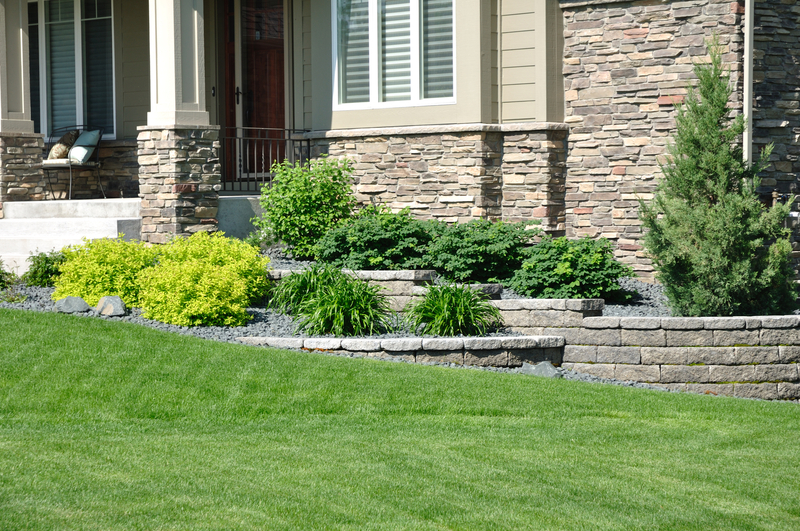 Learn more about hardscaping, ideas for your yard and what it can do for your property values. Hardscaping is the perfect complement to landscaping. In fact, they usually go hand in hand. Landscaping is made of natural elements, such as trees, grass, plants and shrubs. Hardscapes are the structural elements included within landscaping. This can include rocks, bricks, pavers, concrete, wood and more. Hardscaping helps to add dimension and creativity to a landscape. This can include a variety of styles from walls and sidewalks to other walkways and patios. Hardscapes are also a great way to help add drainage to the natural areas within a landscape. It can provide aesthetic feel for a necessity that may otherwise have little appeal. One of the top benefits of hardscaping are the benefits to your home’s property value. According to Bob Vila’s “Landscaping: A Good Investment,” upgrading your home can add up to 20 percent in value. Some simple changes are your go-to way to add value to your home. They add one of the best ways to make sure you get the most out of your money is to hire a professional to handle the job. So whether you need to fix broken pavers in a driveway to adding walkways or hardscaping, it is a great investment. When it comes to your landscaping maintenance, Water Solutions Sprinkler Service is your local sprinkler installation company. We will help you maintain your investment for years to come. Hardscaping is also great for businesses too! Learn more about hardscaping for your Denver commercial space. When ready to get started, you can call us at 720-435-1495 or get a free estimate!